What a versatile pad! Forget just protecting your crib from messes – it will do that and more. 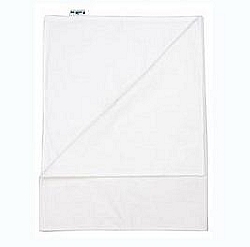 Use while you and baby are breastfeeding to not only keep you dry but your bedding too. Also make a great baby massage mat. Comes in either 100% organic cotton topping for a smooth feeling against the skin, or topped with polar fleece for a luxurious stay dry feeling for both mom and baby.